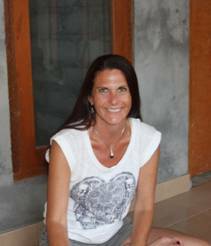 My love for the small island of Bali began the moment I got off the plane and my feet hit the ground. Greeted first by the welcoming Balinese people, then by the indescribable beauty of the island created an experience I will always hold dear to my heart. My initial excitement and joy of actually being in this small island paradise continued to grow as we made our way to our hotel in the central town of Ubud. Giant stone statues line the highways with monolithic deities surrounded by vibrant flowers in the center of intersections. Small eateries, called Warungs line the streets and offer delicious traditional Balinese fare. Bali is teeming with people and life, yet not one person wears a scowl. It is this genuine happiness that I admire about the Balinese people. Bali is a spiritual mecca. Yes, the beauty is a feast for the eyes but underlying the rich scenery is a deep feeling of spirituality and gratitude. The culture is steeped in tradition and the people practice the art of thankfulness each day by creating offerings – small baskets made of palm leaves filled with flowers, fruit and other small gifts. The offerings are lovingly placed in the location of their business, home, temple and/or fields along with prayers and incense to honor the gods and ask for their favor. After several visits to the paradise of Bali I knew I wanted to share this place, these people and the spirituality of Bali with others. I created a tour company that caters to you and your interests. I offer tours that group together people with similar passions to take your trip from amazing to personal. Bali is an experience in itself but to be with other people who are equally delighted by the activity, food, temple, class or whatever it is that you are enjoying creates more than memories. It creates connections and friendships that will last a lifetime. I am the owner of The Expanding Heart, a metaphysical store in Park City, Utah. I am also a Reiki Master and Intuitive using my gifts in energy healing and guided readings. With this metaphysical background, I was deeply touched by my experience and past visits. I could tell you more about me but I would rather tell you about Bali. Actually, I would rather snow you Bali. You can get to know me upon arrival, as I will be one of the guides on each and every tour. Let me introduce you to Bali and all that it has to offer. Bali touches the heart and soul of those who visit and after experiencing the wonder of Bali, I can promise that you will never be quite the same.